Proprietary Name: Womens Laxative What is the Proprietary Name? Non-Proprietary Name: Bisacodyl What is the Non-Proprietary Name? 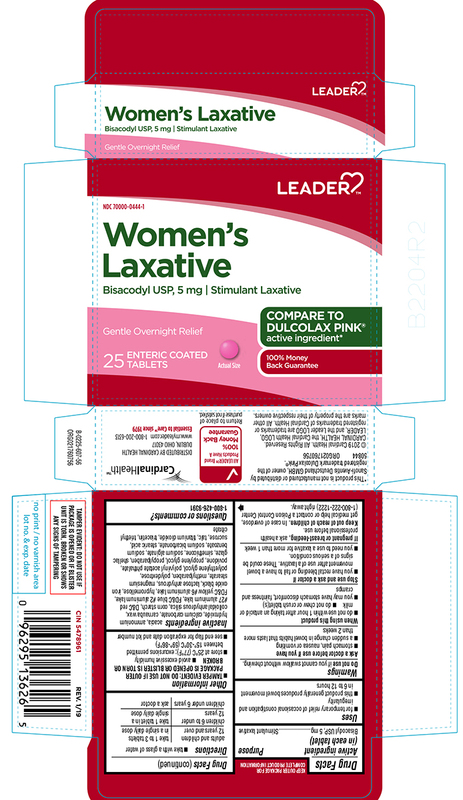 Womens Laxative with NDC 70000-0444 is a a human over the counter drug product labeled by Cardinal Health. The generic name of Womens Laxative is bisacodyl. The product's dosage form is tablet, sugar coated and is administered via oral form. Dosage Form: Tablet, Sugar Coated - A solid dosage form that contains medicinal substances with or without suitable diluents and is coated with a colored or an uncolored water-soluble sugar.